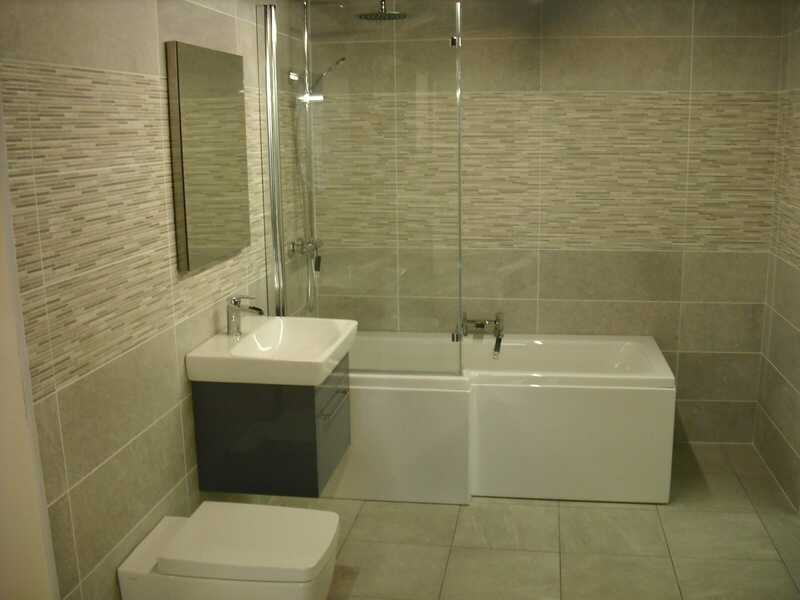 There’s nothing quite like a gleaming bathroom to make you feel proud of your small room, sanctuary or busy family bathing area, is there? 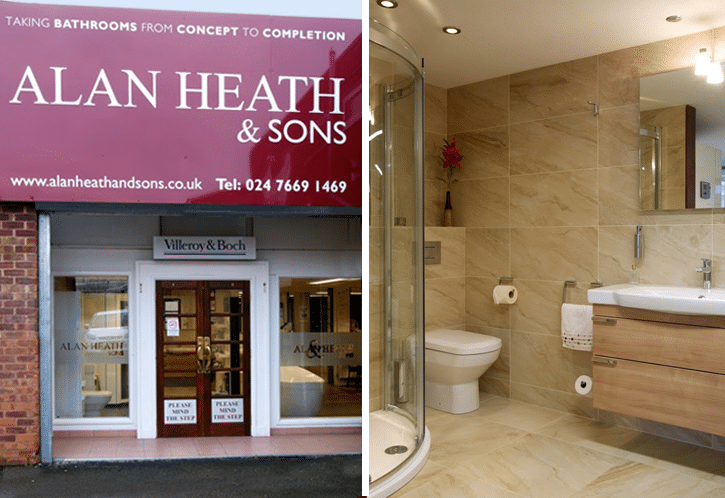 When you have a brand-new fitted bathroom, it will certainly look at its best. 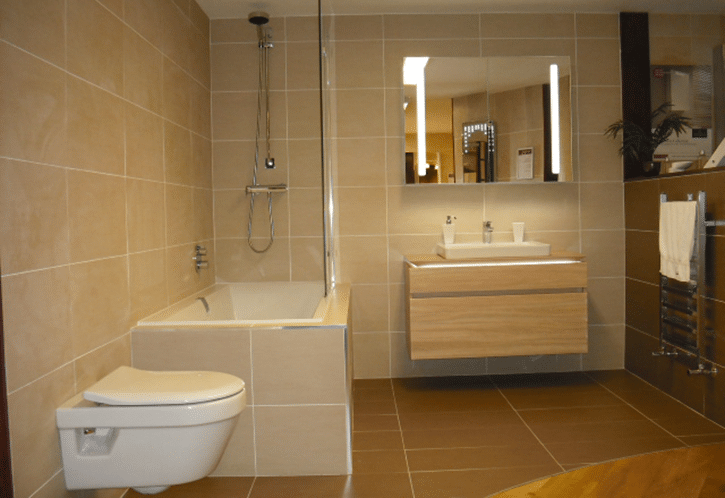 But over time, when the moisture and water settles, without constant care, some bathrooms will have started to look a little tired, and limescale is a big cause of that. Limescale is “a deposit of calcium carbonate and a residue left behind by hard water” (source: Wikipedia). If you live in a hard water area then your kettle is no doubt coated with a white residue inside, and you’ll be keen to clean it up to save it landing in your tea! Your bathroom will also be under attack from calcium carbonate, and any water left standing or drying on your taps or glass will no doubt be turning white and upsetting the overall look of your bathroom. The good news is that there are many ways you can remove this pesky visitor and get your bathroom back to looking its best! Vinegar isn’t just for your chips! One of the best methods has to be vinegar (white vinegar if you can get it). A really simple way to remove the limescale from your tap’s spout is to place a cup of vinegar underneath it, secure it in place with something like a towel or flannel and leave to soak in the cup of vinegar. If you have residue in other places like the base or the neck of the spout where a cup wouldn’t really help, soak some cotton wool in vinegar and then secure to the parts that need treating. The important lesson here is that you need to allow the vinegar to be in contact with the tap for a number of hours for it to be effective. When life gives you limescale – get some lemons! Lemons (and limes) have long been the perfect DIY cleaning juice. Lemons work perfectly to treat the limescale on your taps or glass. Simply cut a lemon in half and squeeze the two parts gently into a bowl. Wipe the juice over the taps and glass, and leave it for a few hours to do its magic. You can even use the cut pieces of lemon to shove on the end of your taps! Another great home remedy for limescale is baking soda. Used the same way as the lemon juice, simply make yourself a tub or basin of water with baking soda and gently rub the liquid onto your taps or glass and leave it to work for a few hours, washing it off fully later on. Cola is also a very good cleaner and can be used to fizz off the limescale and remove that nasty white assailant as well as cleaning your toilet, too! There are many great products on the market for removing limescale, but to be honest the home solutions work just as well, if not better than the products from the supermarket shelves. A better idea would be to prevent the limescale in the first place with a protective coating on your glass and taps. 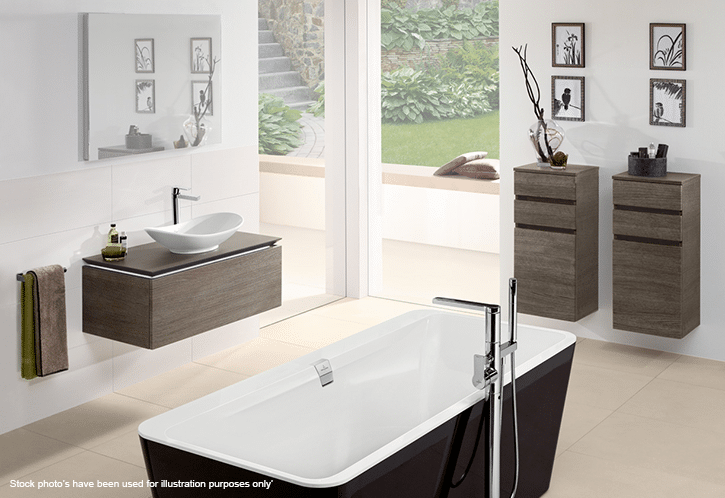 One product that we would recommend you invest in is Ceramicplus from Villeroy and Boch. 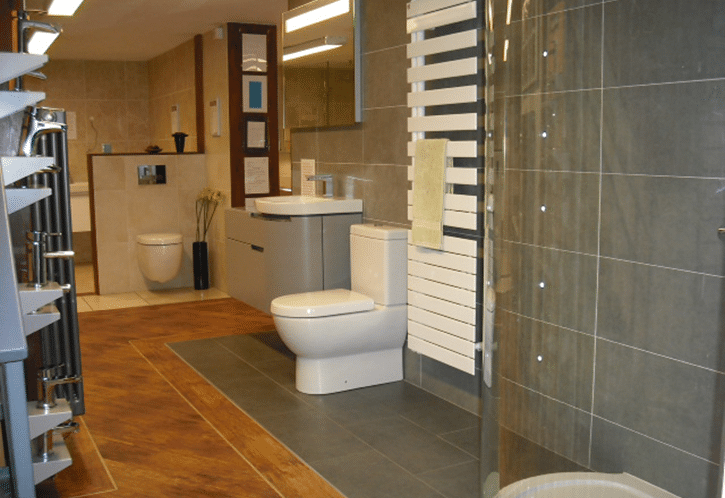 A special process gives the Ceramicplus surface a permanent high-quality finish and stops the build-up of water and limescale. Our advice has always been to keep your bathroom clean by doing a little and doing it often. Make sure you’re cleaning your taps and glass on a regular basis and try not to use any harsh chemicals or cleaners if you can. 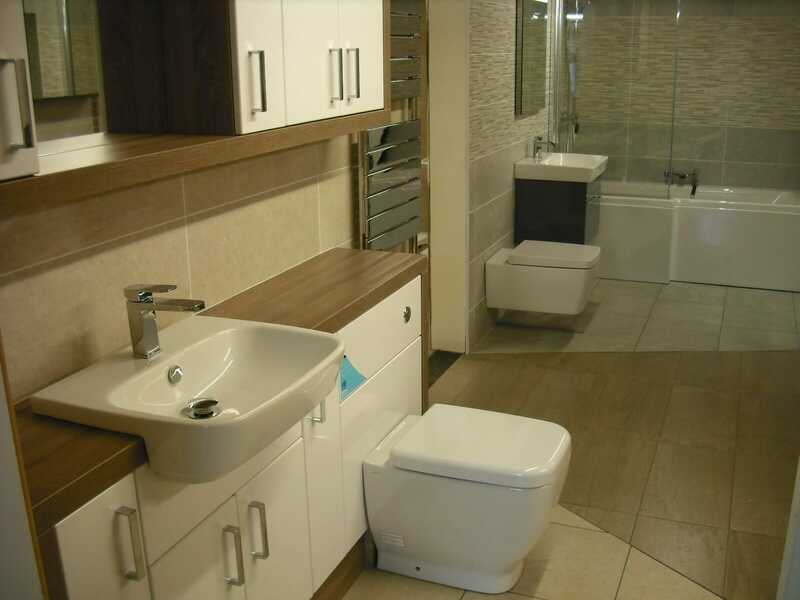 Treated bathroom products and suites will come with manufacturers’ guidelines on what to use, so please do check before you use anything harsh on your bathroom. More often than not, keeping on top on your taps, glass and tiles is the best way to prevent limescale build-up. It takes time for limescale to get bad enough to bring in the vinegar, so if you get your bathroom spick and span with these tips, try and keep it that way this time! 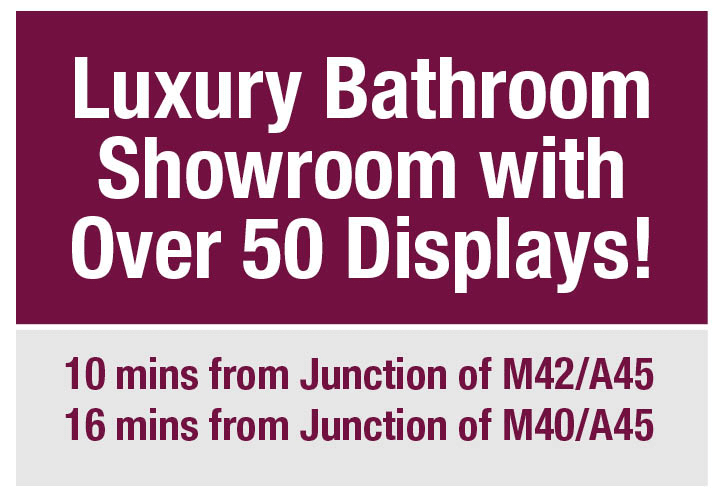 of course, if you need help creating a brand new bathroom just give us a call or visit our bathroom showroom for some fabulous displays (all clear of limescale! ).